A lot of companies claim they’re “going green” these days – but at Gore Mountain, they’ve truly embraced sustainability, garnering top honors among national ski areas. They’re also keeping it local, utilizing nearly 15,000 solar panels that are hosted on farmland located one county over in Whitehall, NY, as well as incorporating locally-sourced food options into their dining services. What is perhaps most impressive about Gore’s environmental efforts is they demonstrate that a growing resort can still be sustainable. Over the past 20 years, Gore’s acreage and uphill capacity have increased by 131% and 142% respectively – that’s quite a lot! And yet, Gore still manages to operate under environmentally sustainable practices even as it gets bigger and better. Their efforts haven’t gone unnoticed. The ski mountain and resort has been officially recognized by the National Ski Areas Association: They received the Golden Eagle Award for 2016, the most prestigious award in existence for environmental sustainability that can be given to a ski resort. Gore’s biggest environmental project has definitely been utilizing 14,589 solar panels for energy needs – under this new system, 85% of Gore’s electrical is expected to be offset. This undertaking is the result of two 25-year solar power purchase agreements with Borrego Solar. The purchase agreements were supported by Governor Cuomo’s NY-Sun incentive through the New York State Energy Research and Development Authority. Ground-mounted solar panels across 20 acres of what would have been uncultivated farmland in Whitehall are being used to power Gore. The solar panels are predicted to save Gore about $10 million over the life of the contract, offset 113,919 tons of carbon dioxide, 71,634 pounds of nitrogen oxide emissions, and 131,835 pounds of sulfur. Wow! In addition, Gore has been working to make more snow in a shorter amount of time and with less energy. 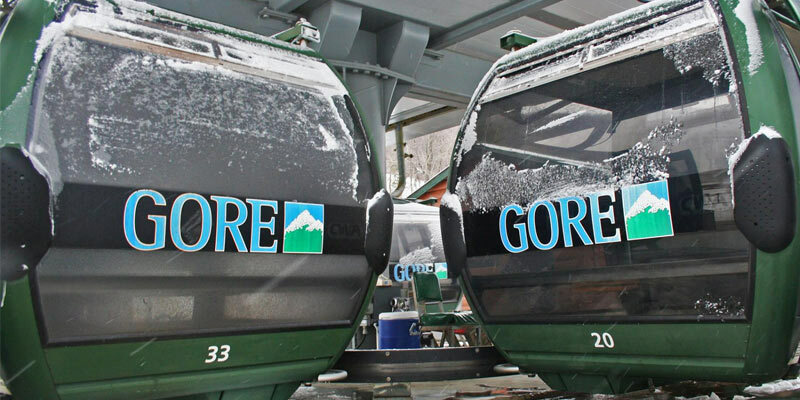 The 2016/2017 season was Gore’s fifth year in a row modernizing the snowmaking system. Dozens of high-efficiency guns replaced outdated elements of the snowmaking system, and variable drives installed at Gore’s pump house allow water to be pumped more precisely – this system of snowmaking increases efficiency and reduces overall electrical use. 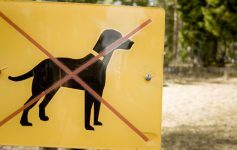 Another way Gore has found to lower energy use is by making some critical adjustments to their trails. Before, irregular terrains would need to be filled with snow in order for the trails to open for skiing. However, Gore has found that by smoothing and regrading portions of trails, this can alleviate the need to fill the irregular terrain, resulting in energy savings. Work on the Headwaters Trail saved 1.5 million gallons of snowmaking water during the 2015/2016 season. The Showcase Trail and Foxlair Trail were also worked on, along with the skier/boardercross course. The course was shaped with earthen features to decrease the dependency on snowmaking. These types of trail modifications also mean guests can access the terrain for longer durations of time during the winter season, and with more consistent conditions. 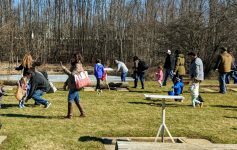 Gore had made changes inside as well as outside: Centerplate at Gore is now serving New York maple syrup, baked goods made right in North Creek, and regional cheeses and fruits. And, LED lights have replaced most of the traditional lighting throughout the resort. There’s an educational component to all of these environmental efforts, too – guests are invited to learn more about the environment through strategically placed interpretive signs that you can find in each gondola cabin, around the lodges, and along the nature trails. In addition, the “Forever Wild” part of Gore’s Nordic Terrain area incorporates natural features like log rails, wooden pyramids, and boulders. In addition to all the past and ongoing environmental initiatives, Gore is in the midst of some major improvements as part of a $20 million investment announced by New York State in January 2017. These include expanding the seating capacity of Saddle Lodge and modernizing the Lodge’s facilities and infrastructure, adding a third story to the Base Lodge and restoring the original 1967 gondola unloading station into a Gore summit warming facility. We’ll be checking in on these improvements as summer turns to fall, and will have some photos, video and news to share. In the meantime, Gore’s summer programming kicks off on July 29, so why not make plans to check out everything that’s happening on the mountain and take in the spectacular beauty of the North Creek area.